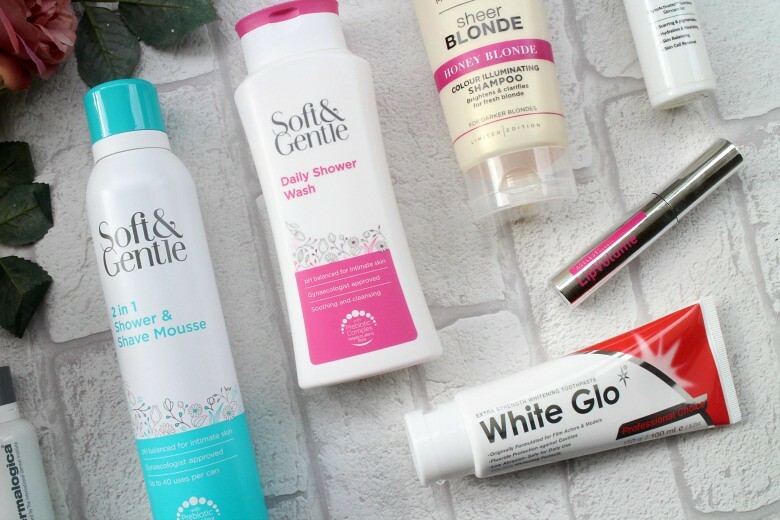 There's a mixed bag of products in today's post but all ones that I've been using as part of my everyday routine. Some are perhaps not the most exciting and others might just pique your interest into wanting to know more. We'll start in the bathroom with two from Soft & Gentle, a brand typically associated with antiperspirant. They have now expanded with the new intimate wash and care range. Starting with Soft & Gentle Daily Wash* which if you read the small print is 'ph balance for intimate skin' and 'gynaecologist approved'. In short Soft & Gentle Daily wash is a competitor to FemFresh. If the fact you're concerned that your intimate area but too embarrassed to pick up the recognisable FemFresh and have it sitting in your bathroom then Soft & Gentle's offering is certainly more discreet and looks like any old bottle of shower gel. The difference, unlike regular shower gel which has a PH balance sitting between 9 and 12, is that Soft & Gentle Gentle Daily Wash is PH balanced for the intimate area which sits around 4 - something to consider. Next is a more familiar style of product although still new to the Soft & Gentle line up, their 2 in 1 Shower & Shave Mousse*. The difference? That PH balanced formula I referenced above is present in this mousse so it can be used in the bikini area. I haven't yet tested as such and have used in the traditional fashion for shaving and have no complaints. I have talked about this style of product in the past and do think 'is it necessary' when shower gel can do the job. Then I receive a can and realise how much easier shaving my legs is and a smoother finish. 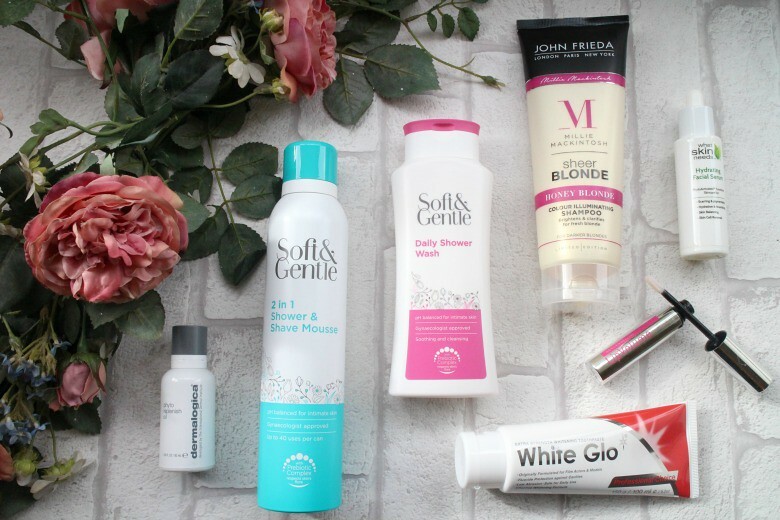 John Frieda is a brand I've used often, long before I knew beauty blogging was such a thing. Interestingly despite regularly using the Brunette range once I'd 'gone blonde' I hadn't dabbled until now. Millie Mackintosh, she of Daily Mail tabloid fodder, was recently announced as the UK cretive collaborator for John Frieda. With that has come the release of the new John Frieda Sheer Blonde Honey Blonde Colour Illuminating Shampoo* (and a conditioner) available exclusively at Superdrug. Formulated with oatmeal and honey so that any golden tones are amplified, perfect for those with highlighted hair. 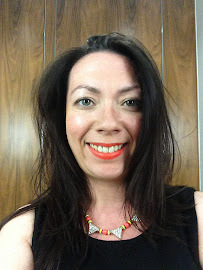 Whilst there have been benefits to my blonde balayage and the dryness being one I do at times miss the shininess that I often took for granted as a brunette. No more thanks to the John Frieda shampoo which because it's formulated for those with colour treated hair there are no worries about colour stripping. Toothpaste is not the sexiest of products but one I'm always keen to try as a smoker with a red wine habit. White Glo was originally developed for models and actors and is famous as one of the market leaders in Australia. Now available in the UK when I was asked if I wanted to try White Glo Professional Choice Whitening Toothpaste* I said yes - model figure no, but maybe theres an opportunity for model white teeth? White Glo contains the same ingredient used by dentists in clinics, but if you've ever visited your dentist for teeth cleaning I can assure you that a tube of White Glo is much cheaper. The formulation will lighten any discolouration and yellowing of teeth from food, drink and yes, tobacco stains. I haven't used for such an extensive length of time that I can tell you I'm resembling Ross in that episode of Friends, you know the one I mean, but I can say that teeth do appear brighter and more noticeably so than other toothpastes I use. I talked last week about how much I hated the taste of a toothpaste I used on holiday and was expecting similar from White Glo but I can happily say it was almost pleasant. There was that faint tang of bicarb but not overpoweringly so. This could be a definite keeper. Anyone and everyone is having their lips done it seems and no fears of 'trout pout' seem to be slowing them down. If like me you're too scared to go under the needle then you might want to know more about Transformulas Lip Volume* 'a pain free alternative to cosmetic surgery and collagen'. I was skeptical at best about using this product and whilst I'm not going to tell you it takes you from Kylie circa 2011 to present day it will make a difference to your lips appearance. I've been in a habit of slicking this on as part of my morning skincare regime and certainly feel that my lips look plumper. You can argue you'd expect that from the ingredients which enhance moisturisation of your lip but whatever it is, it works for me. Lipstick definitely has a better appearance when I apply after using Transformulas Lip Volume, especially those of the liquid variety. I have had a break from using due to putting it aside for photographing and missed its use but am now back to once again using on a daily basis, recommended time for use and full results after 30 days of treatment. At around £30 this is not the cheapest of products although comparable to a high end lipstick purchase and certainly cheaper than a cosmetic appointment. One particular point of note for me was that there is none of that 'tingling' often associated with products of it's type. Finally I want to share two skincare heroes I've been using lately that are both ends of the price spectrum but very similar in type and results given. Starting with What Skin Needs Hydrating Facial Serum* a brand that was new to me and again from Australian shores like White Glo. Honestly I wasn't a fan at first, it felt too greasy, or certainly oily when I first applied despite the serum claiming a 'non-greasy formula'. For once my laziness worked in my favour and 'too busy' to swap the serum out for another it was what I continued to reach for, instead finding ways to 'make it work' and as time went on collecting comments about how good my skin looked and admiring how much better make up was sitting on my skin. What Skin Needs Hydrating Facial Serum is a blend of vitamins and plant extracts to give 'superior hydrating and skin cell renewal properties' offering treatment for; scarring and pigmentation, hydration and nourishment, skin balancing and skin cell renewal and it certainly gave me positive results. Typically I would have used this serum of an evening due to it's oily nature but with such great results by day I found that if I applied then made my commuter coffee and allowed it some time to sink in then I could apply moisturiser on top without any issues. If you have dry skin, and certainly as the colder weather sets in this could be a life saver. From the affordable to the more costly and well known brand Dermalogica and their September release, Phyto Replenish Oil*. Priced at around the £60 mark this is for the skincare connoisseur and certainly the more sophisticated of the two products. Dermalogica Phyto Replenish Oil* is a facial oil which will shield you against environmental stressors, smoothe lines whilst strengthen and restoring the skins natural protective barrier and all of that will ensure your skin looks healthy and locks in moisture for an all day glow. If you have mature skin I'd direct you more to Dermalogica's offering which targets restoring your lipids, your natural protective oils, which take longer to recover in older age (just like hangovers) against the everyday stresses we are all familiar with. I've used Phyto Replenish Oil less so than the aforementioned serum but it's been amazing to apply for days I'm at home and make up free and can still feel the moisture locked in whilst being a lighter formula. Tomorrow I'll be testing under make up so stay tuned. I'm not worried as Dermoalogica advise this is a multi-use product which you mix in with SPF and even primers. It's not one I'm ready to part with. What 'not so exciting products' have you been enjoying recently? I can't deny I've been able to try quite a number of products from the brand lately and I can't deny whilst the price point is a little high I can see why.